In 1972, a group of around 20 eager dance students pooled their resources to rent a studio in downtown Halifax. The studio had a hard floor and no plumbing but it was a hub of exciting creativity and a celebration of a love for dance, and the Halifax Dance Co-Op was born. Pat Richards, Penelope Evans, Susan Young, Rich Campbell, Ellen Pierce and Elizabeth Zimmer were the six signing authorities on the very first paperwork ever drafted for the organization. In the years that followed, Halifax Dance became a registered non-profit and the school grew to include instruction of many disciplines and students of all ages. 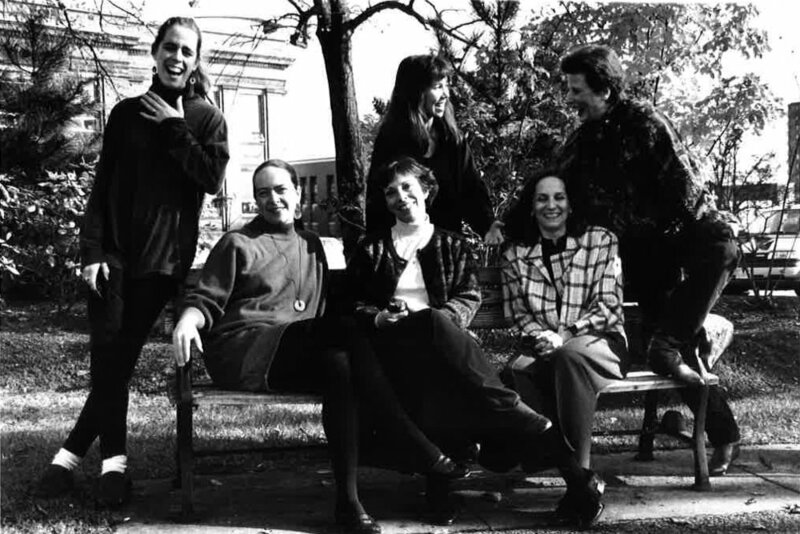 A group of 6 dedicated instructors essentially founded and shaped Halifax Dance as we know it today: Veronique Mackenzie, Mary Lou Martin, Marel Eager, Andrea Leigh-Smith, Leica Hardy and Penelope Evans. These women built the Intensive Training Program and the annual Children's Showcase and curated the curriculum that still serves as the backbone to the organization. The Founders Studio honours and celebrates the contributions of these important voices in Halifax Dance's history, and serves to continue their legacy for generations to come. Many people were involved in making Halifax Dance what it is today. Some of them are pictured here. We are asking community leaders to champion this important initiative by way of a one-time donation of $1000 to Halifax Dance. involvement at this significant new beginning is invaluable. We are truly excited to share this next chapter with you. A Charitable tax receipt in the full amount of the donation. Recognition on our in-studio donor plaque and our larger donor wall located in the central lobby of our new facility. Recognition in all performance and event programs as well as on our newly designed website for one year. Recognition in our membership e-newsletter and our upcoming alumni campaign. Invitation to our official Grand Opening with media, dignitaries and other sponsors. If you are interested in learning more about the Founders Studio or would like to be a part of this legacy project, please complete the form below.